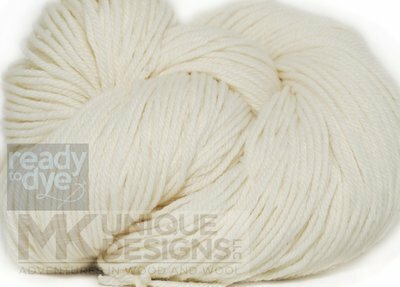 Ready to Dye yarns are natural in color and ready for your projects. More yarns coming so if there is a special base that you are looking for please don't hesitate to contact me at mkuniquedesigns@gmail.com. Bulk quantities at reduced price.